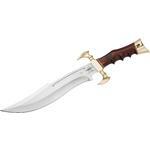 Designed by custom knife maker Gil Hibben. 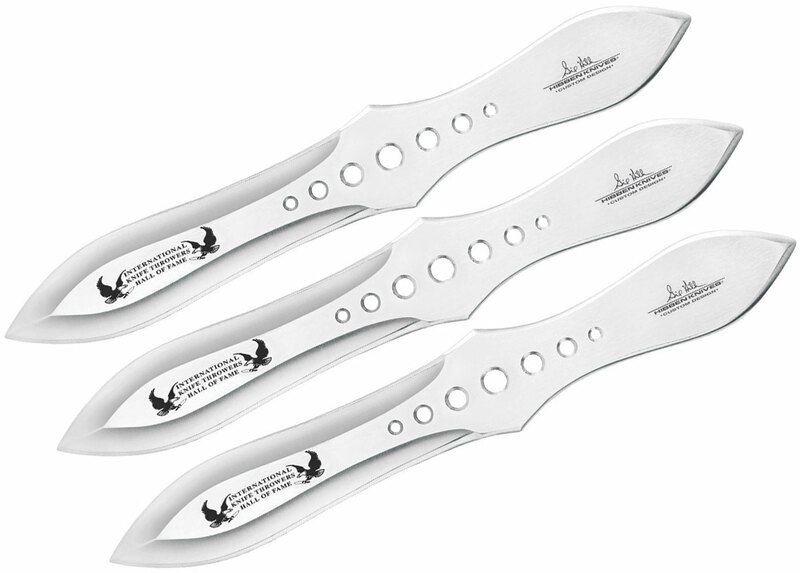 This set of three throwers are constructed from solid stainless steel with an "International Knife Throwing Hall of Fame" etch. Includes custom belt sheath. 8 1/2" overall. Made in China. I find them too light and thin for no spin throwing. They are pretty good for half spin. Overall i’ll Use them for half spin on occasion but mostly I just keep them in the bag. I recently purchased this set of throwing knives and after reading gil hibbens guide to throwing knives I decided to try them out. I set up a large piece of plywood for a target and began practicing. It took a little while for me to get any to stick but once i did i started getting used to it. I had been practicing for about 45 minutes when the knife struck the plywood and split in half by the handle. I wasn't throwing aggressively or angrily, I was throwing a consistent strength and speed. (keep in mind im also a 130 pound kid that can't curl 20 pounds) Now Hibben Knives advertises this product as solid stainless steel but it is anything but. When I looked at the break I noticed there was only a millimeter of metal casing, (still not certain the outside was even steel) the inside was some other material entirely, but not any kind of metal. If i had known the product was not solid metal I would have never even considered buying it. But now i know that Gil Hibbens products are not good quality and that he makes a habit of lying about his products in order to sell them. Never again will I buy anything designed by that man or his company. I have the same knife at 11.5 inchs (6 knifes). I throw in the backyard as a activity for guests. We throw at an old tree log about three feet across. It's a great fun activity for a group. The 11.5 inch knife was a little heavy for the ladies. 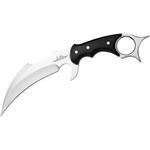 These 8.5 inch knifes have become the ladies favorite as they are lighter and they can throw them with more force. The men still prefer the bigger knife. Hey, I wanted to share "United Gil Hibben Hall of Fame Throwing Knife Set 8-1/2 inch Overall, Leather Sheath (GH2034)" with you from KnifeCenter.